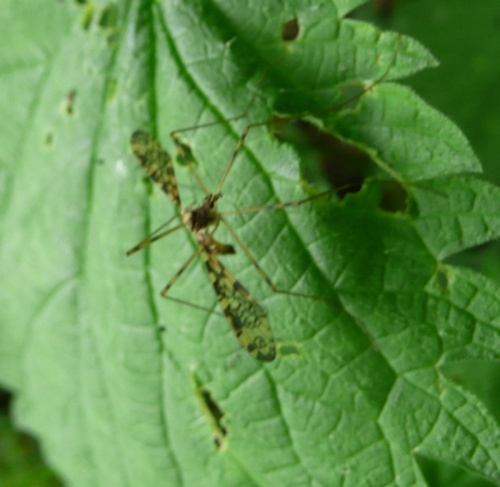 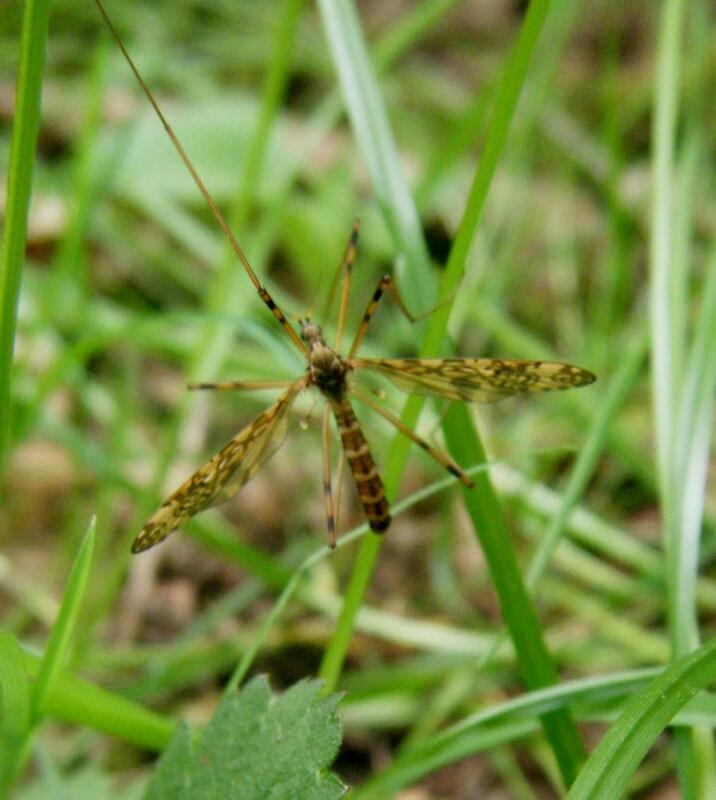 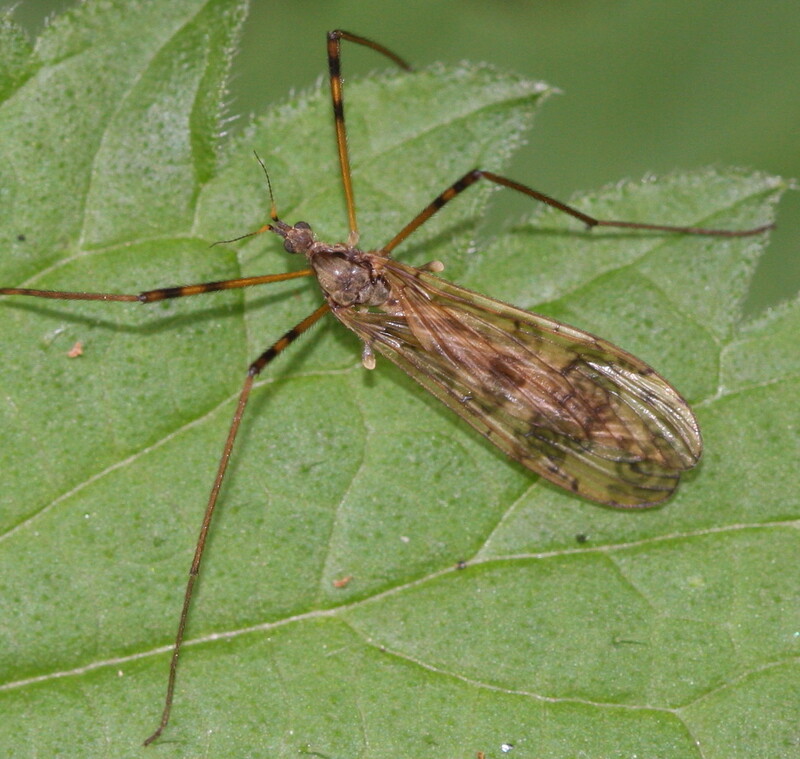 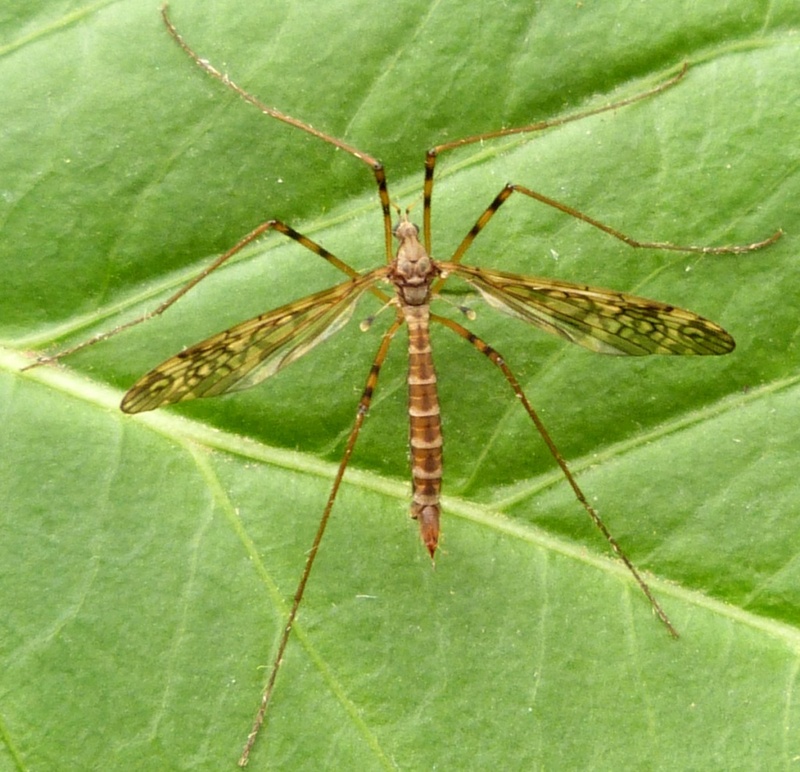 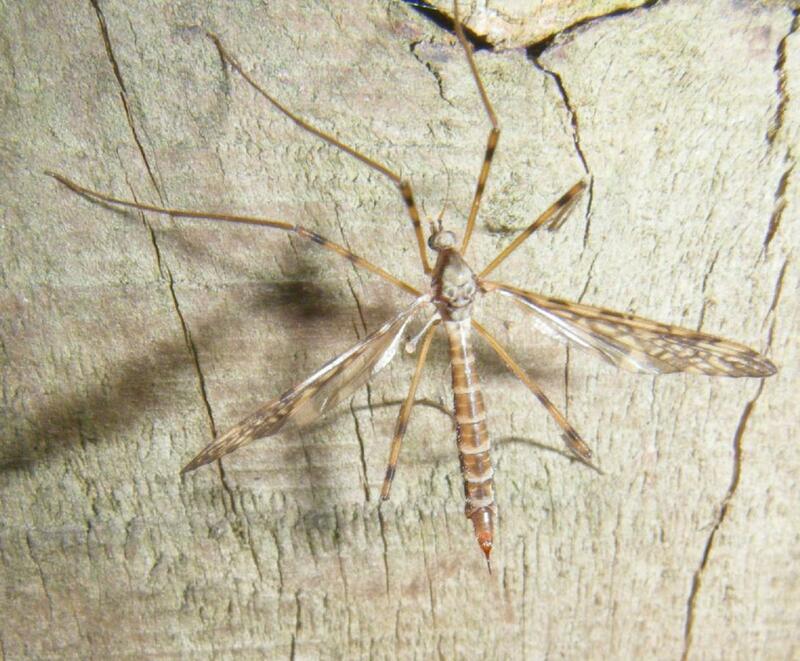 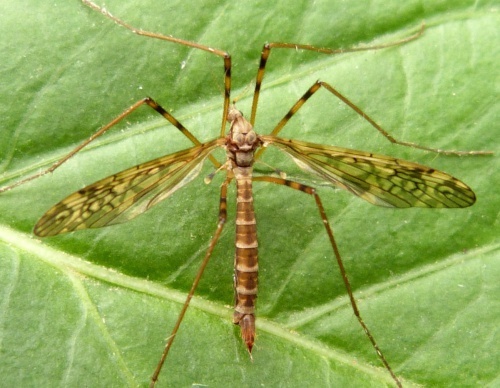 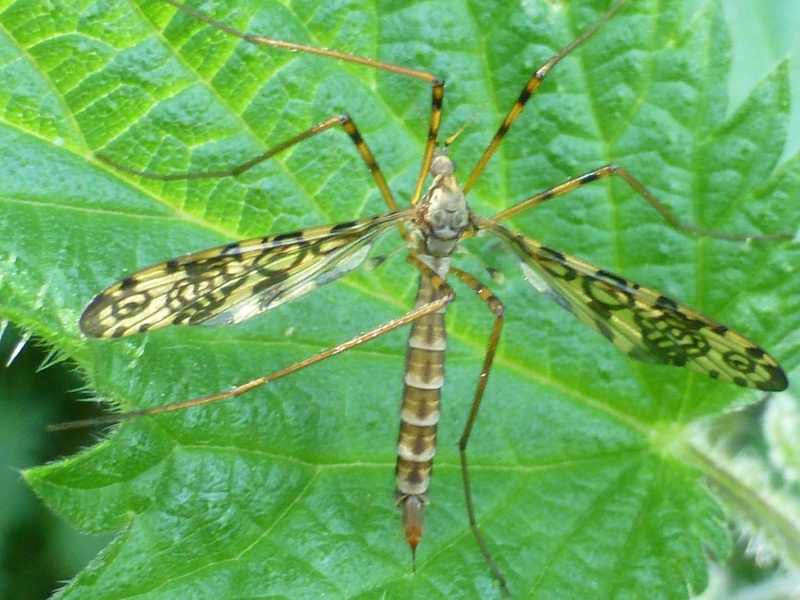 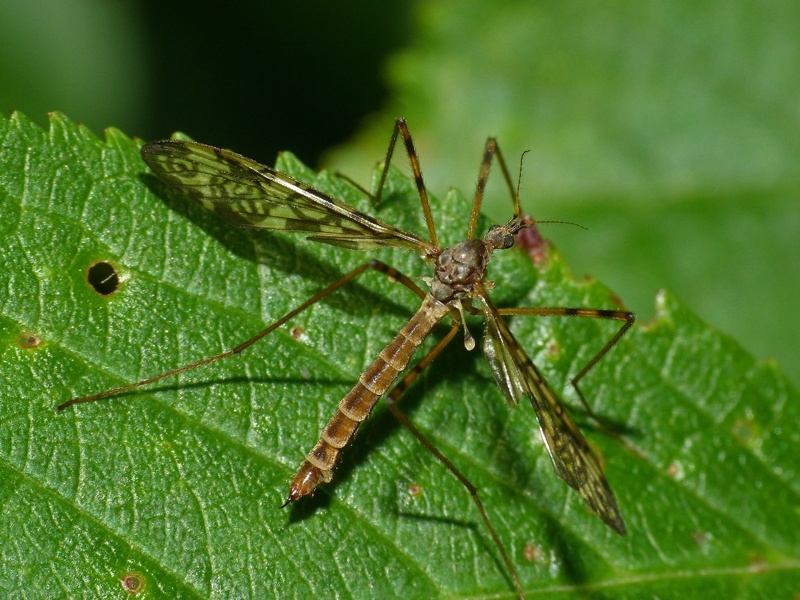 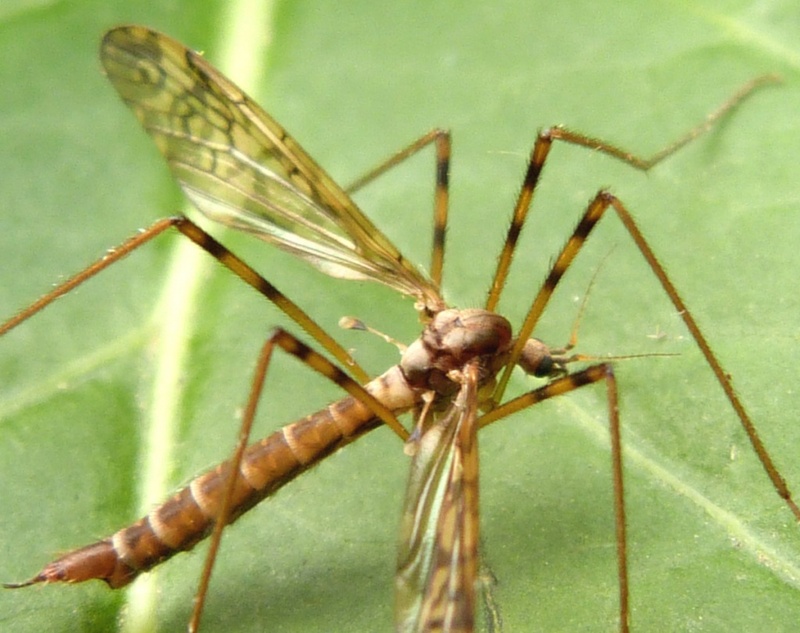 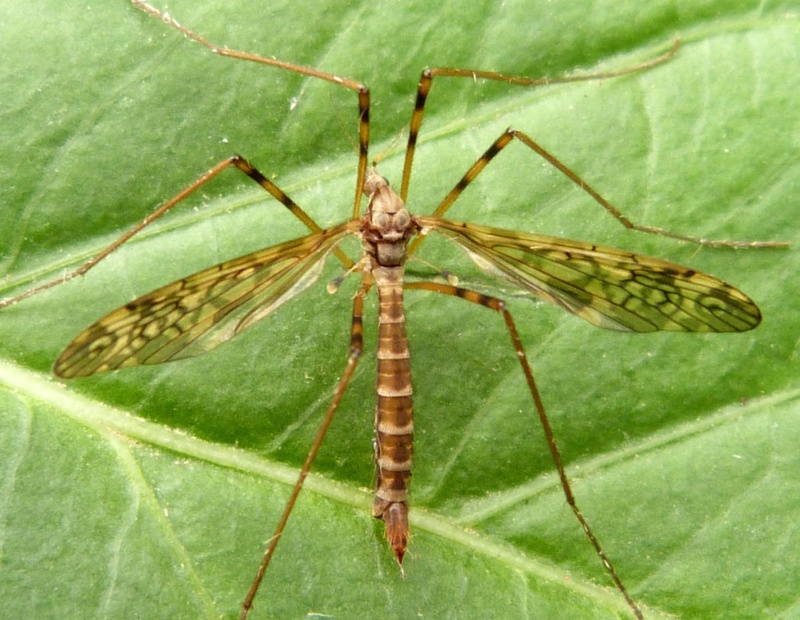 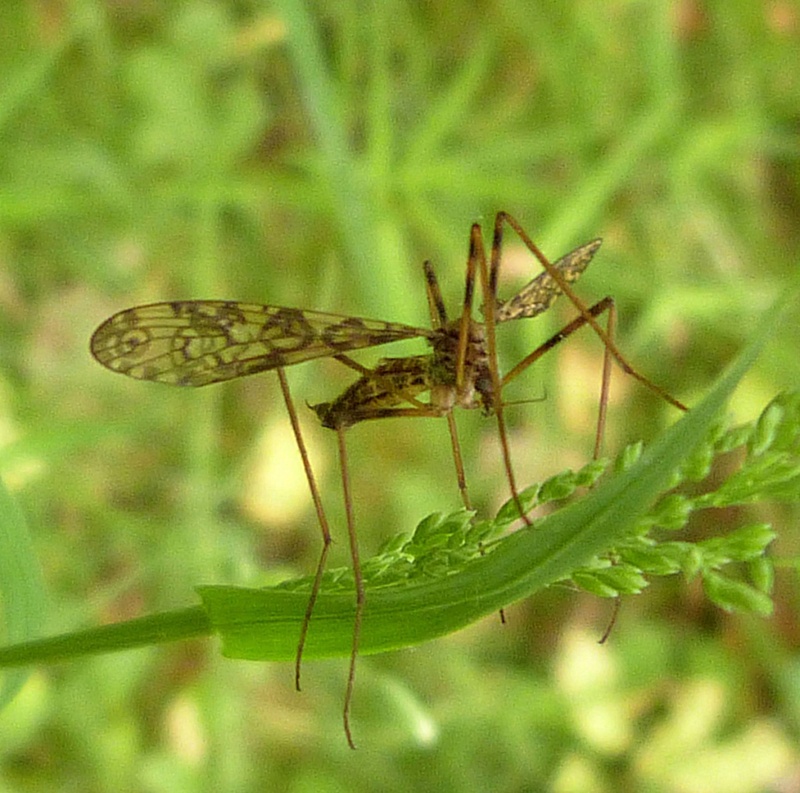 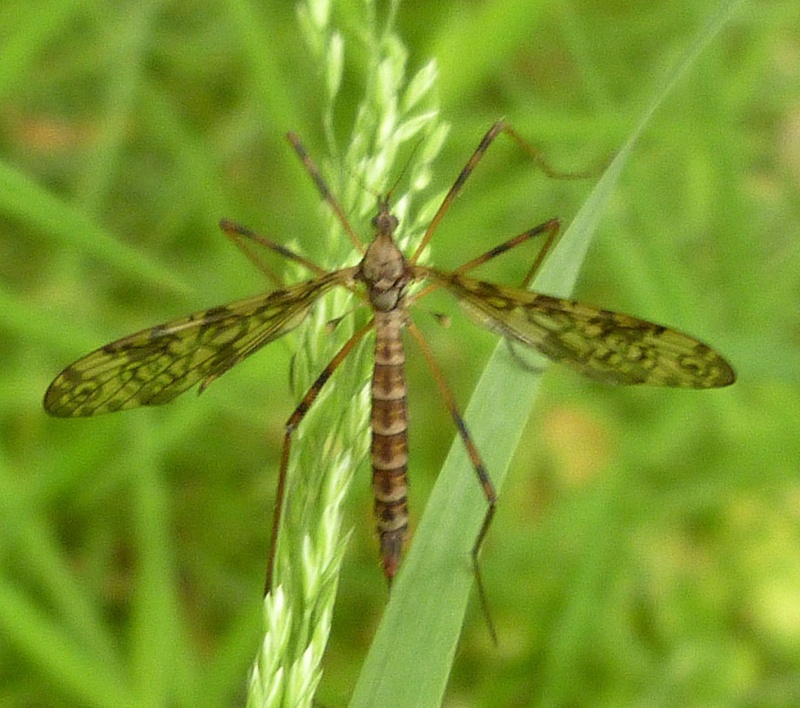 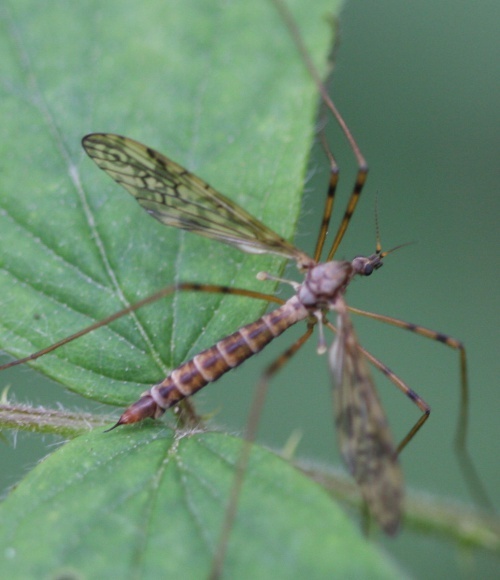 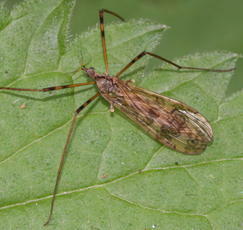 A very distinctive cranefly with circle patterns on its wings, banded thighs and a brown striped abdomen. 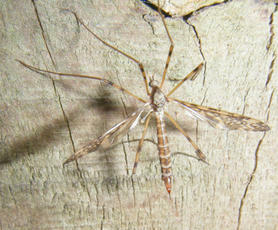 Larvae are found in dead wood. 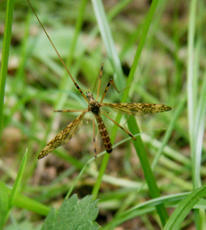 Fairly frequent in suitable areas of England and Wales, fewer records from Scotland.